Last night I put up a roundish pen using my step in portable fence poles and some electric tape (not electrified). Since I ride in a field and not a ring, I wanted an area to do a little of my work with Linus that was in the wide open. 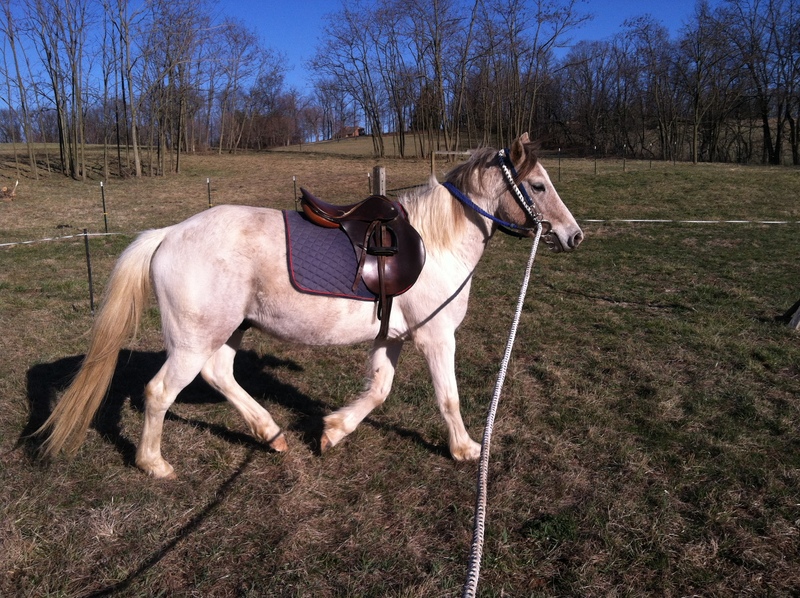 It worked well, and we had a nice lunge and short ride in it. It is not exactly sturdy or imposing or structurally sound like a real round pen would be, but it does give a defined space to work in. I also had a fantastic ride on Simon. I love that pony. He is just a joy to ride. 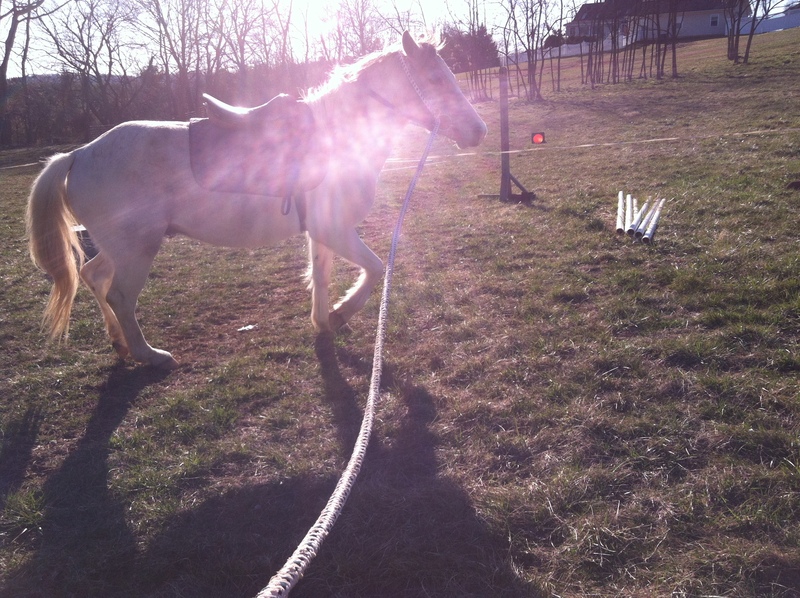 We did some simple flat work, and ran through some flag drills. I was happy to see my flag work was better today than the other day when I practiced. The grass is also getting greenish, so I pulled the boys off the big field. Now they are confined to the barn yard and riding field.